How Did No One Know About the Double Yellow? For those of you who didn’t watch the first leg of the MLS Cup Eastern Conference Finals on Saturday, or didn’t see the photo gallery I posted from Red Bull Arena yesterday, The New York Red Bulls lost 2-1 to the New England Revolution on Sunday afternoon. This is bad because, not only are you supposed to win at home, the new away goals tie breaker rule basically means they have to go to New England and win by 2 next weekend. That’s a mighty tall order. However, that’s not the dumbest thing that happened during that game. Somehow, nobody knew a simple rule, and now NYRB’s best striker is suspended for a game in which they’re going to need a lot of goals. How the hell does that even happen?? That’s right, folks. Bradley Wright-Phillips, the man who tied the single-season goals record this season with 27, is suspended from the second leg of the Eastern Conference Finals because nobody knew that the rule book said that accumulating two yellows in the playoffs means you get suspended for the next game. Now, you could argue that it’s a stupid rule, and that the yellow count should reset from round to round. You might be 100% correct. Unfortunately, that doesn’t matter. 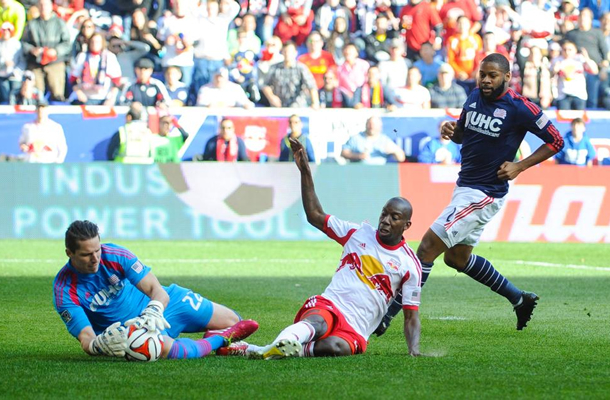 It is absolutely inexcusable for that rule to have been a surprise to anyone involved with the Red Bulls on Sunday. I’m not even going to fully blame BWP for this blunder either. Often times, as ridiculous as it sounds, athletes don’t fully know all of the rules that affect matters off of the pitch (or on the field for other sports). Remember when Donovan McNabb didn’t know that NFL games could end in a tie? 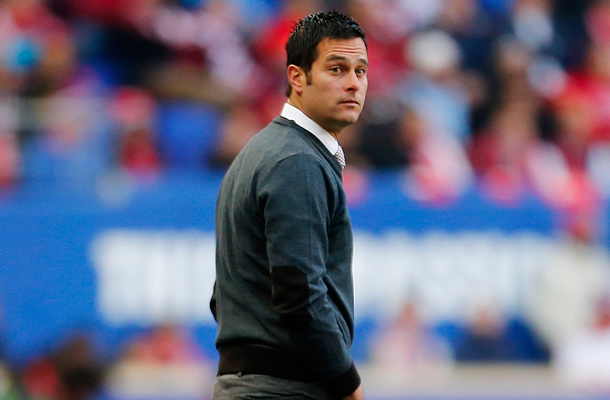 Sure, you can call a player dumb for not knowing the rules, but that ultimately comes down to a coaching error by Red Bulls head man Mike Petke. As a coach, you are paid to make sure everyone under your command is prepared to play week to week. This involves not only physical conditioning and motivation to win, but also knowing all of the rules and idiocincracies of the sport you coach. Petke actually found out about BWP’s suspension during the post-game press conference, when a reporter asked him how the team would deal with playing without their leading scorer. Wright-Phillips should be angry. Yes, players should know their situations when they’re on the pitch, but it’s inexcusable for a coach to not prepare his players and to not make sure that they know the rules, and what they can and cannot do on the pitch on any given day, especially knowing how crucial a player BWP is to the Red Bulls. Petke let Wright-Phillips down, he let the Red Bulls down and he let every single Red Bulls fan down. He might not have caused his team the series, but things are looking incredibly bleak now for the Red Bulls. The Red Bulls were already in trouble heading to New England down 2-1 and having allowed two road goals, but without their top scorer, it’s looking pretty impossible for them to come back. Sorry Red Bulls fans, but it ain’t looking good.